When you are in the mood for combining some pulse throbbing, heart stopping extreme sports action with a journey into a location that is as unique as it is romantic in its appeal you can’t do better than the surfing in Morocco scene. With 1150 miles of coastline to choose from, there are few places in the world that can beat this beautiful Atlantic Coast for waves that are perfect for both beginners and more experienced and seasoned surfers. The perfect conditions are available all year around and are limited only by choice of location. So, be prepared to do your homework and experience a shot of adrenalin in all that this awesome location has to offer. 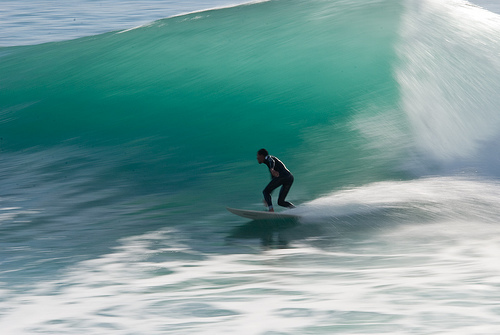 The peak season for surfing in Morocco is between the months of October and April. Largely protected by the gales that ravage the North Atlantic during this time of the year, the water temperature has little variation and the point breaks found along the coast, are amongst the best in the world. Head to Morocco to surf and it’s likely you’ll head to the queen of all beaches in the country Tagahzoute. Though some may call this town and its beach ugly by international standards, it’s none the less the launching point for an unforgettable surfing experience that few think to take. 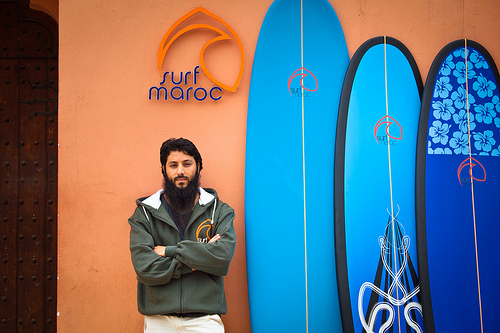 There are many surf companies in Morocco and they attract surfers from around the world. Despite the Middle Eastern and African cultural mix, one thing you won’t be lacking in your Moroccan experience is a full social life long after you leave the surf for the evening. Resorts and other areas frequented by expats provide the ideal nightlife scene. The local residents and a unique cultural experience provide a friendly and welcoming environment to explore, when not catching the waves along the coast. Whilst the major towns provide beautiful and consistent swells, many regular visitors to the Moroccan coastline choose to hire a car and travel away from the crowds of these cities to find their own little piece of paradise away from the cities. The many reefs that dot the coast provide the perfect surfing conditions and most surfers will soon discover their own little “place of paradise”. Reefs and water sports promise lovers of extreme sports, more than just surfing to keep the adrenalin pumping. Most regulars to this surfing paradise will point you to the best beaches, best breaks and best times to find the best waves. Many offer challenging surfing with little room for error; others provide gentle consistent swells that are perfect for the beginner or less confident surfer. Some may even think you foolish for taking this journey, yet once the Moroccan sand has gotten into your system; it’s very difficult to remove either of it, metaphorically speaking or in reality. Few who experience surfing in Morocco, leave unchanged or without vowing to return. Like so much of any African experience, on land or on the sea, once it’s in your system, it remains forever. This entry was posted in Africa, Surfing, Travel, Water Sports and tagged Morocco, Surfing, Surfing in Morocco. Bookmark the permalink.